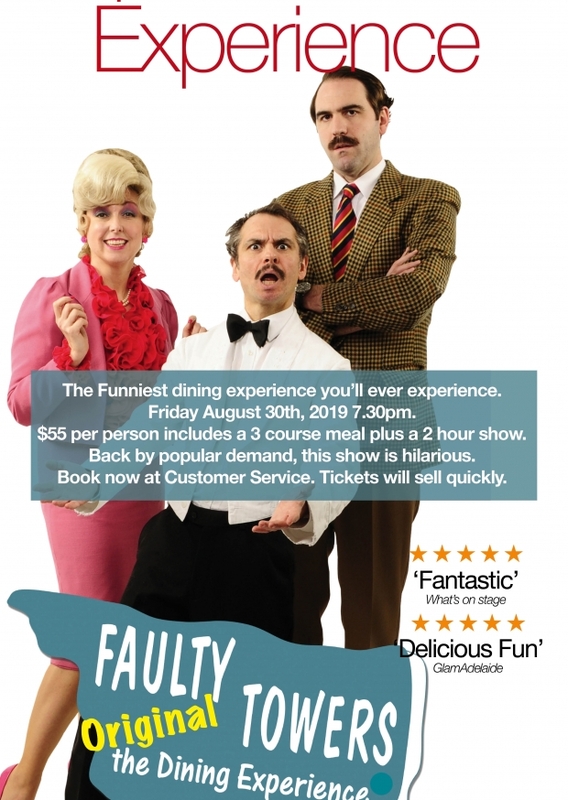 Officially the world’s longest running and most successful tribute to the BBC’s famous sitcom, this Australian original has made its international mark as an ‘unforgettable night out’ (The West Australian). Selling out at shows all over the world – including Sydney Opera House and London’s West End – it’s now returning to Goulburn Workers club in August 2019. But be warned: tickets will sell out here too, so early booking is essential! The cast for Goulburn Workers Club features Monique Lewis-Reynolds (Sybil), Rob Langston (Basil) and Nicholas Richard (Manuel). Tickets: $55.00 pp – all tickets include a 3-course meal and 2-hour interactive show.